"Breakfast was delicious and plentiful - and different on eac..."
Have a question for Pension Hoshi ni Negaiwo? "The hosts and the staff were very nice, spoke good English, and were always helpful." "To those who love quiet and extraordinary stay, this is the place"
"The breakfast is tasty and sumptuous." "Good place to take a morning walk." 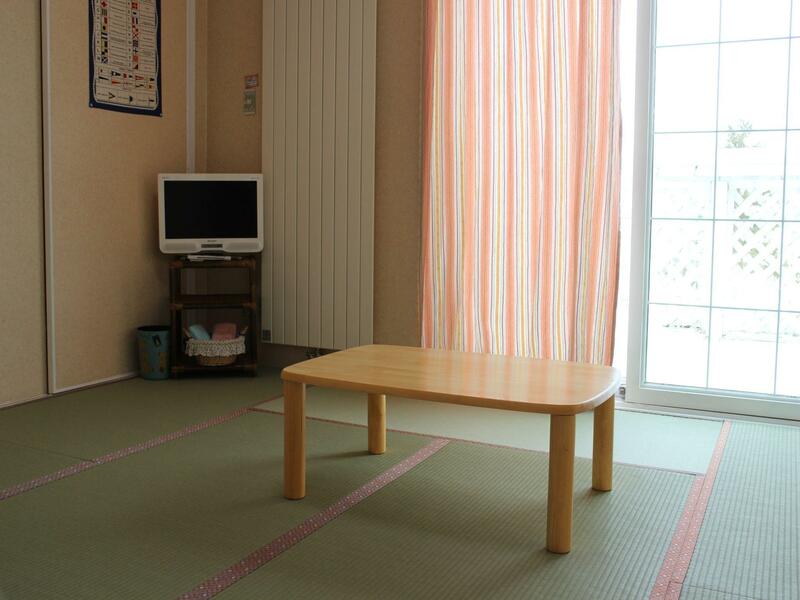 Located in the lovely area of Furano, Pension Hoshi ni Negaiwo enjoys a commanding position in the sightseeing, family fun, skiing hub of Furano / Biei. Only from the city center, the hotel's strategic location ensures that guests can quickly and easily reach many local points of interest. No less exceptional is the hotel's easy access to the city's myriad attractions and landmarks, such as Furano Wine House, Furanonishi Hospital, Kita no Kunikara Museum. At Pension Hoshi ni Negaiwo, the excellent service and superior facilities make for an unforgettable stay. Postal service, daily housekeeping, luggage storage, Wi-Fi in public areas, car park are just a few of the facilities that set Pension Hoshi ni Negaiwo apart from other hotels in the city. Experience high quality room facilities during your stay here. Some rooms include television LCD/plasma screen, non smoking rooms, heating, blackout curtains, shared bathroom, provided to help guests recharge after a long day. Besides, the hotel's host of recreational offerings ensures you have plenty to do during your stay. 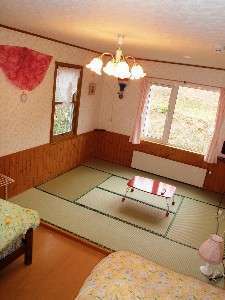 Whatever your purpose of visit, Pension Hoshi ni Negaiwo is an excellent choice for your stay in Furano / Biei. "It is wonderfully located up a slope with a beautiful open v..."
All guests are required to inform the hotel of their estimated arrival time. This can be done by noting in the Special Request box upon booking. The latest check-in time is 10:00 PM. If you will arrive later than this time, please inform the hotel in advance. Nice location & host BUT it has only one bathroom for a home stay with abt 6 rooms & the room we stayed was on the top floor with a very narrow & steep staircase with no handle by the side of the stair. 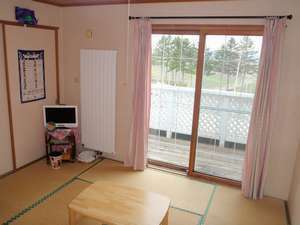 It is located not too far from Furano town but you will certainly need a car to get to this Pension. It is wonderfully located up a slope with a beautiful open view of the town, mountains and greens. Directly opposite it is the Campana Rokkatei and not far are Furano Wine Factory and Grape factory. There are also vineyard and field of sunflowers. Good place to take a morning walk. The breakfast is tasty and sumptuous. We stayed in a japanese style room. 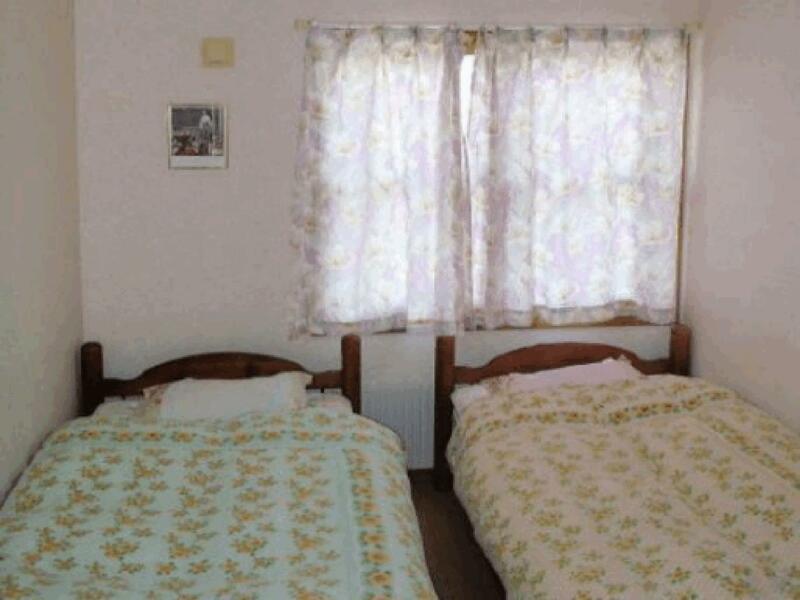 It is small for the three of us but it is very clean. 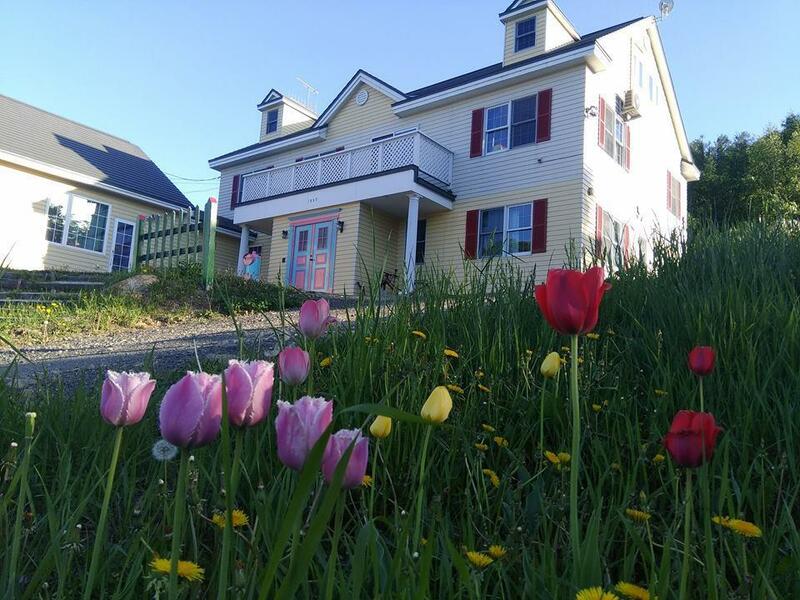 During our stay, we can see details on making us feel welcome has been carefully looked into by the Owners. The only set-back is that they have only ONE bathroom. Three toilets but only One bathroom. During our stay, there were approximately 15 of us..at least..! Breakfast was delicious and plentiful - and different on each of the 5 mornings while I was there. It's in the countryside, so it's quiet. They have been in business for 20 years but the place is immaculate. The hosts and the staff were very nice, spoke good English, and were always helpful. I had a wonderful time. 1. You cannot pay with credit card. Make sure you have enough cash. Otherwise, they tell you to withdraw cash from seven-eleven. 2. No privacy. They give you the room key but they do not let you carry your room key when you leave the house for tour or dinner. There is no point of giving the key. Also, they should give any paperwork to fill out when you check in. But they come knocking on the door 5mins after you check in to make me fill the paper. I was changing my clothes and she waited at the door until I open..... 3. Breakfast is not Japanese style but rather western style. If you wish to experience Japanese style, this is not the place. Best if you drive, car can be parked at their porch. Though it is also easily accessible by 10 min taxi ride from train station. Beautiful scenery - situated on slight hill overlooking farmland. Healthy and delicious home cooked breakfast that is made personally by owner depending on what's available that period. Very hospitable couple who ensure that you have a comfortable stay at their place. very nice! staff was extremely friendly! love it! I enjoyed four nights there, breakfast and dinner was vey well prepared and good price,love the people also, they helped a lot, I feel like home. The best hostel ever. I really like this place. I am a girl who travel alone, the accommadation is really comfort and the staff member is very kind. My wifi machine got broken and the landlord let me use their phone to call for the customer service in Japan. The Nipel guy who works in the apartment is also easy going. All in all, I recommend this place! Excellent breakfast in quality and environment. Nice, funny and sincere pension owner and staff. Pleasant and clean room and bathroom. 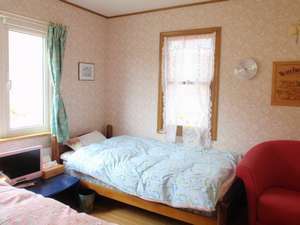 A pleasant stay in a nice pension after a daytime sightseeing in Furano and Biei. A highly recommended pension. the best moment for us when we were on eastern hokkaido trip. The owners are the Japanese couple who run their own busines So they gave us the best their can do to service. such as free bicycle rental pick up service from station (maybe the reason is it was low season in Furano at that time) anyway we really appreciated their kindness they talked with us a lot about his job about furano area, Hokkaido and Japan Such a memorable moment and I would like to recommend everyone to rest at this pension. Only stayed a night instead of the 3 I had paid for as I had an emergency to attend to. So did not stay long emough to make a judgement. Lovely owners though. a great and memorable stay, thanks for the warm, friendly owners and staff. the attentiveness and thoughfulness in service and there are many beautiful and interesting things to look for - sweet themes/designs for each room. I only stayed there for an overnight. Clean and tidy room. Size wise you can never expect much in Japan if you don't want to pay much but it was comfortable enough. The walls are not think enough though, if you have quiet neighbours you're lucky. Mine were rather noisy. Didn't have time to visit the winery house nearby and juice factory which was a pity. They close at four I think.